Beram Kayal's close-range finished handed Brighton a first Premier League away win in almost 12 months as they condemned Newcastle to a 1-0 defeat. It left the Magpies without a win from their opening nine league fixtures, an unwelcome first, and having won just one of their last 15 games in all competition. It is their worst start to a Premier League season. They slumped to the foot of the table as a result and while Benitez may not fear the sack, the pressure is starting to mount. 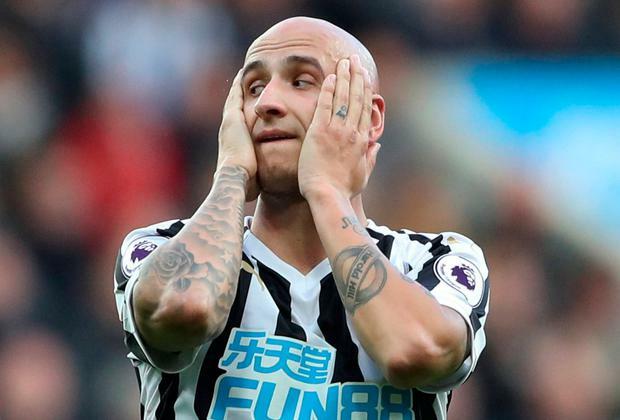 Newcastle's lack of firepower was exposed once again with five minutes gone when Jonjo Shelvey robbed Gaetan Bong as he dallied inside his own penalty area and fed Perez, whose shot was saved by Mat Ryan when he should really have been given little chance. The flow of the game was interrupted when Murray went down after a clash of heads with Federico Fernandez with concerned team-mates immediately calling for medical attention, and the game was stopped for six minutes as he received treatment before being carried off on a stretcher. But it was the visitors who took the lead seconds later from a disputed corner when Shane Duffy rose at the far post to head Alireza Jahanbakhsh's delivery to the edge of the box, where Izquierdo sent in a volley which clipped Paul Dummett and was then deflected past keeper Martin Dubravka with Kayal claiming the decisive touch. The Magpies might have been level as the break approached had Yoshinori Muto been able to adjust quickly enough to direct his header at goal after Ryan had parried Shelvey's drive, or had Kenedy's crossbar-grazing piledriver been inches lower. The pressure was maintained after the restart with Shelvey forcing an early save from Ryan and a prone Lewis Dunk blocking a Perez effort as the Seagulls found themselves having to defend for dear life. With Shelvey orchestrating and Matt Ritchie and Kenedy finding space out wide, it seemed only a matter of time until Benitez's men restored parity. However, they became increasingly desperate as the equaliser failed to arrive with Kenedy even attempting a rabona shot from distance with 28 minutes remaining. Jahanbakhsh might have doubled the dose with a more composed finish after Jamal Lascelles' error put him in on Dubravka, but Ryan had to pluck a 78th-minute Shelvey free-kick out of his top corner as the home side battled to the whistle.